By now, we all know that the forthcoming family reunion on Netflix’s Fuller House will be short its shortest member. For despite the best efforts of the best Tanner, Katsopolis, and Gladstone men, Mary-Kate and Ashley Olsen just couldn’t be persuaded to share a role again. And so we wondered what explanation would be offered for Michelle’s absence: Would we learn that the youngest Tanner child had been lost at Disney World, but for real this time? 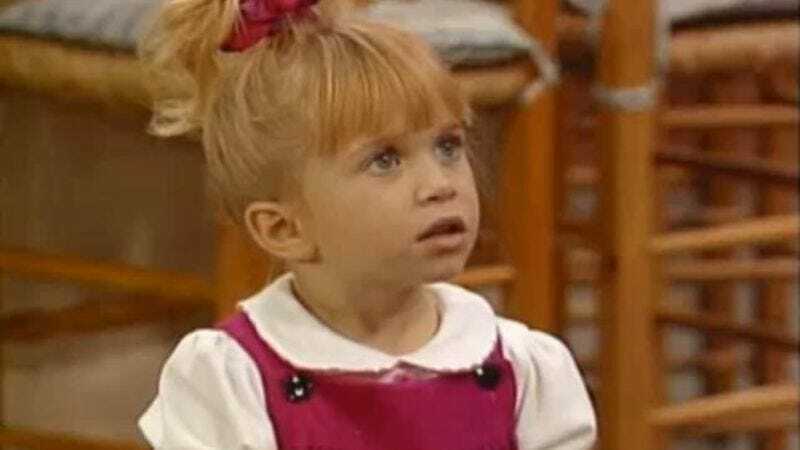 Or would the sequel series turn out to be a continuation of the depressing Full House Without Michelle? Thanks to the hard work of US Weekly, we finally have an answer, and it’s neither devastating nor particularly imaginative. It seems Michelle will be too busy establishing a fashion empire in New York to return to San Francisco to move in with her two sisters, an annoying neighbor, and a couple of kids, despite probably having had at least as many roommates in her first New York apartment. This is purportedly a fun little nod to the Olsen twins’ real-life moguldom (and lawsuits). So there you have it—art will imitate life, Joey will do an impression of a woodchuck grief counselor, and Great-Uncle Jesse will mutter “Have mercy” in response to Michelle’s callousness. The series will also feature an episode where the family prank-calls Michelle with her catchphrase, “You got it, dude,” possibly because this is an alternate reality where someone wouldn’t just hit “Ignore” when they see an incoming call from their dad or older sisters.